He showed a lot of faith in the U19 stars to take key positions in the team. Kolkata Knight Riders have faced a lot of criticism for their performance in the IPL 2018 auction. The two-time champions failed to build a lethal side this time. However, they concentrated on picking youngsters. Following the departure of Manish Pandey, Gautam Gambhir, and Yusuf Pathan, the side has to depend a lot on the young guns. With Knight Riders deciding not to retain their skipper, Gambhir will now play for his home side, the Delhi Daredevils. 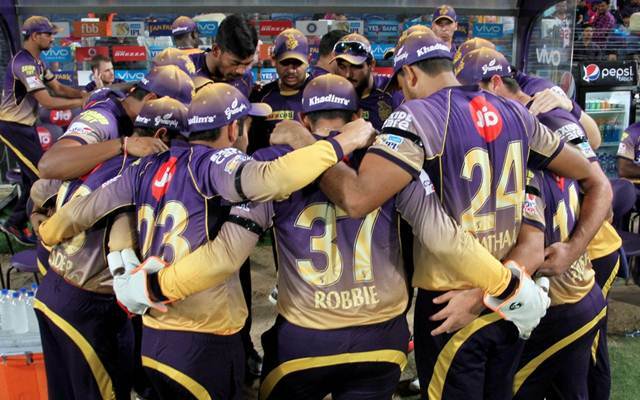 KKR now have 9 uncapped players in their side with three bowlers and six batsmen. They managed to buy the U19 stars, Kamlesh Nagarkoti and Shubman Gill. Both these India U19 players had exciting outings in the World Cup. While Nagarkoti impressed everyone with his pace, Gill finished as the player of the tournament. On the other hand, in the absence of Gambhir, Uthappa is expected to lead the side. The wicketkeeper-batsman has been with the franchise for quite a while and his contribution has always been crucial. Just like most of the cricket fans and enthusiasts, Chopra also handed the responsibilities of the side to the experienced, Uthappa. He also confidently picked Chris Lynn as the opener and predicts Uthappa to partner him at the top of the order. The former cricketer turned analyst placed his bets on the U19 youngster, Gill for the third position in the batting line-up. Followed by the veteran keeper batsman, Dinesh Karthik at number four. He picked Nitish Rana, the former Mumbai Indians’ batsman at number five. However, Aakash felt that there is a fuss regarding the number six and seven positions. He opined that Ishant Jaggi might feature at number six followed by the big man Andre Russell. The bowling department in his view seemed strong enough with Kuldeep Yadav, Sunil Narine, Mitchell Starc and Vinay Kumar/Kamlesh Nagarkoti. Robin Uthappa (C), Chris Lynn, Subhnam Gill, Dinesh Karthik, Nitish Rana, Ishant Jaggi, Andre Russell, Kuldeep Yadav, Sunil Narine, Mitchell Starc, Vinay Kumar/Kamlesh Nagarkoti.